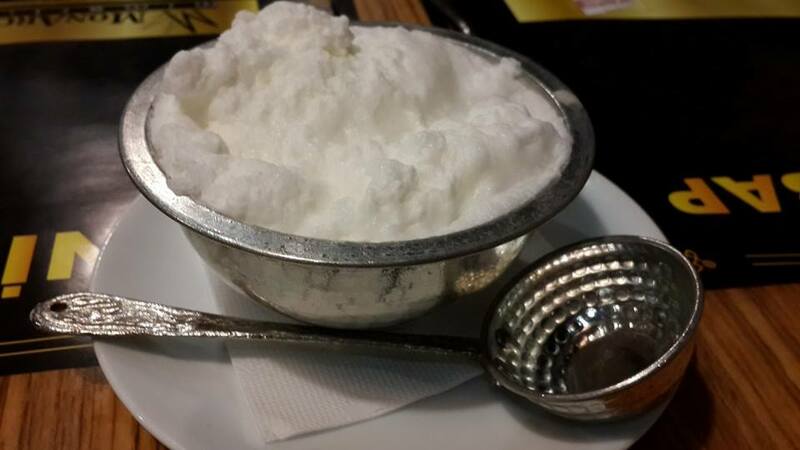 That’s one way to serve Ayran! A yogurt drink (similar to the Indian lassi), goes well to wash down spicy hot meats! I love a good ayran!! Me too, Claudia! I have to learn to make the foam on top and also, get some nice serving bowls! . . personally, I prefer it in a pint mug! Good stuff! Everything tastes better in a beer mug! I wish I liked it like this but prefer it foam-less. I can’t say I am a fan of the foam, but it does make it interesting! That doesn’t surprise me. Indians make salty, sweet, or mango.